My name is Mepa Taufa-Vuni. I am 28 years of age with three children—two boys and one girl. My father worked as a bus driver and my mother is a housewife, who looked after seven of us—I have four brothers and two sisters. I have done courses in creative writing at the University of the South Pacific and I see myself as a keen observer of people. I am interested in personal writing but sometimes worry about readers assuming too much about themselves in my works. I plan to continue writing in this vein as I go back home to continue my teaching career. My poems and stories refer to legends that are related or directly pulled out from my father's village—legends like the "Sons of a Moko," a descendent of Ma‘afu Tukuia‘ulahi who is the father of the twins living next door to us. Ma‘afu is the noble of Vaini now, my father's village. The short words and incomplete sentences in my work are for emphasis of the main character's mother and how it had been repeated from time to time. I wanted to dedicate my work to my father, Siopau-lata-ai-au Taufa, a man whose sense of humour really brightened up our little house and to my mother who believed in me. Her grandmother, a healer with Tongan herbs mashed leaves that were freshly plucked from traditional trees that had been used by her ancestors for healing people. She chanted in accordance to the bashing-rhythm of the slapping stone against the green leaves. Greenish frothy bubbling juices seeped out from the leaves. Stone on leaves; leaves on stones bounded with special stone with special gifted hands. ‘Ale, her grandmother was the chosen one among her sisters and brothers. Her father, the healer with the Tongan medicines had left his power, his gift for ‘Ale. This gift was wisely used to build their little house with aluminum-tin-roof with one bedroom, bought their food and told them lifetime stories. The kettle on the open fire cackled for attention. Steams rose from the black hot fuming kettle. ‘Ale eyes darted to the fire and shouted to her grandchild to come and tended to the kettle. The fuming kettle was like the anger inside the little eight-year-old child. To be dragged away from playing in the late afternoon with all children from the neighbourhood was a nightmare. Take the kettle off from the fire! Leave it on the table! Bring me a cup of tea while you're there! Faka‘anaua-ki he-‘Eiki—the name that ‘Ale gave her to spite her mother. It means putting your hopes and trust into the Lord, the Christian's God, not to Tangaloa or Hikule‘o or Maui. Maybe ‘Ale had wanted to remind her not to step into her mother's shoes. ‘Ale was hoping that one day she would become a successful person without taking the easy way like her mother. According to ‘Ale, her mother would sleep with anyone for a loaf of bread or a drop of whiskey. Ko e lalekini fokisi, a whore… as ‘Ale described her mother. Hoi fakahela! She scratched her head furiously, mumbling into the evening breeze while stamping her little feet. Her lips were twisted in anger. ‘Ale was surely pissed off as she watched Naua (her nickname) stamped her little feet. She mouthed the words from ‘Ale's mouth like she had known all along what she would say, word after word, like a recipe. Your mother had dumped you into my lap as soon as you fell out. Then she left with another man. She never came back to check on her child. I am a mother yet do not understand the kind of woman like your mother… A mother without a heart like Fehuluni without a soul. Words like these constantly reminded her of her past. It didn't hurt her anymore, she was used to it. Her mother's heart is perhaps like the Snow Queen. A story that had been told by Lesi during one afternoon. A heart that frozen like piglet's heart in Peka's fridge. It looked almost like an ice-block… thought Naua. If your mother appeared in the judgment day, she would be the first one to be thrown down the devil's throat. Bad people had no place in heaven but straight to hell and to be fed into the fire. Your mother had lured my son with her experiences. She had no intention to look after you…so don't go out one day and look for her… you little children are all the same. Your parents dumped you as you were useless and invalid and when you could do something, you will be running back to them… ‘Ale said with bitterness. Naua caught a glimpse of her refection on a mud puddle beside their house. She looked closer and wondered quietly…wasn't I beautiful enough? Did I cry endlessly at night like Kenitaki? She had no idea. The night had descended over the whole of Tonga. People would be coming by this time to be healed, people with strange diseases that white medicines failed to cure. Everyone was saying that Mele would be now having lu and suckling pig with the rest of the relatives and maybe Mele would be exhausted from Sole's endless questions about his young wife. 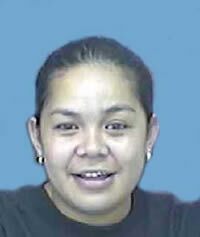 Sole, Mele's neighbor whose right arm had been bitten by the shark and died from severe blood loss, leaving behind a young wife with three kids. Sole was cursed by his own father for the missing of the ‘elelo‘o e fafangu, the bell's tongue of their church as a sinker for his fishing-line. His own father, the minister, had cursed the thief during church one morning. From the pulpit, he shouted Whoever< took the tongue of the bell should step forward or something terrible would happen to him/her not knowing that he had laid the curse on his own flesh and blood. ‘Ale's chicken did not fly out of Mele's bathroom's windows. ‘Ale's final hope for Mele was letting her favourite chicken determined whether she would be cured or not. According to ‘Ale's prediction and her expertise in her healing profession; Mele would live if Pele—her favorite chicken would be escaping from Mele's bathroom. In desperation, Mele's brothers thought that ‘Ale was the savior. They had allowed her to perform her magic. The brothers who had Bachelors and Masters from universities in Australia and New Zealand still believed that ‘Ale would do miracle. The chicken was locked inside the bathroom. For the chicken to escape would mean Mele would be cured. The chicken was let go in a well-secured bathroom. The louvers were too small and were tightly shut together with mosquito's net securely nailed into wooden frames from outside. Mele died within two weeks after the chicken incident, after her brothers gave ‘Ale hundred dollars as a token of their appreciations. ‘Ale tearfully accepted (with lot of resentments) the money sealed in a little while envelope with blue frames around it like the tightly secured mosquito's net at Mele's bathroom. Mele's life was trapped inside the cancer's jail like the chicken inside the bathroom. ‘Ale called Naua to go and take a bath. Their tiny bathroom had no roof; it was made up of four soggy walls of old damp timbers. These walls of the bathroom were once a box full of groceries; flours with pictures of wheat on bluish brown cover, corn flakes, rice bubbles that had been wrapped with New Zealand's second hand clothes. Even though, they were called second-hand clothes; they still smelled nice and the smell of these clothes lingered in their little house in the next four days. It was from Nale, ‘Ale's eldest son. Nale had gone to New Zealand in the last sixteen years. He had never returned since then. Married a palangi and had six children. One of their many pictures that was sent down to Vaini had turned yellow as it hung on the walls from days to days, weeks to weeks and from humid to humid. Like Mele in her grave, couldn't go anywhere even if she wanted to. The children looked very palangi with brown hairs, pointed noses and clean fingernails. There were the main characters in ‘Ale's stories especially when she tried to entertain her clients. She had dreamed that one day; her son would pay her visit with his palangi wife and his kids with skins that looked like bellies of lizards on their roof at night. Smooth and white bellies, you could see the eggs inside the transparent skins like the bluish and reddish veins of those children. Who took the coins from my table? Fingers would somehow, find themselves pointing at her. Maybe it was her tattered uniform—the red skirt that had faded into very light red with ‘Ale's white stitches on holes and tears looking very much like a pauper's quilt. Put your left thumb into your mouth! Both hands on your head! One leg lifted up into the air! Sitting quietly at the corner of the classroom alongside the ones who failed to bring their share lunches or pencils into the class. They couldn't help but to stare with running mouths toward the rest of the kids whose parents brought their lunches and take-away from the Country Fried Chicken. Chips tipped into tomato sauce, the careless ripping of chicken's fried meats from bones watered their mouths and made funny noises in their stomachs. Parents of these fortunate children waltzed inside with little perspiration on their foreheads; clean dresses matched their tupenu with high heels that click… clack as they walked in on the cement floor of their classroom, smiling cleanly and then thanking Lesi—the teacher for about ten times. Lesi in an angelic manner smiled exposing nearly all the molars in her mouth. On her way to their little house toward her room with no bedroom's door, she saw a couple standing outside their house. The woman seemed reluctant to go inside but the man encouraged her to knock on the door. She ran inside the little Tongan house where, ‘Ale was beating her tutu, making her ngatu and Sose was cooking their dinner. ‘Ale, there is a man and woman outside the house, Naua said while holding on to the towel. ‘Ale stood up very quickly, dashed into the little house at the front. The little house with aluminum-tin-roof that welcomed people with faded photos on its wall and tattered sofa whose springs would bit into your bums as you sat on them. A single bedroom that had no bedroom's door, a bed-sheet partitioned the bedroom from the living room. A living room during day and a bedroom at night.